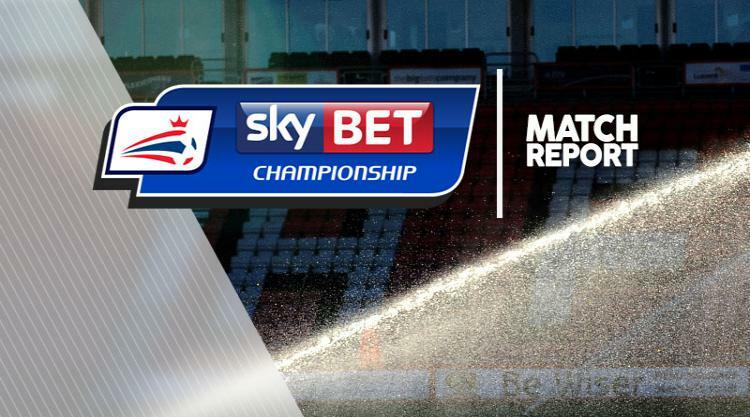 Aston Villa may have lift-off and are closing in on the league leaders but their 1-0 Sky Bet Championship win over bottom of the table Bolton was far from convincing. The home side struggled for a long time to assert their authority and only took a 38th minute lead through a Jonathan Kodjia penalty. They finished the contest with 10 men after Neil Taylor was sent off in the 88th minute following a tackle on Adam Le Fondre. It was Villa's fourth successive victory in a run of seven unbeaten games, while poor Bolton, still with only two points, slumped to their ninth defeat and 11th game without a win to equal their worst start to a season way - 1902-03. In the first meeting between the two clubs outside the top flight since 1975, Villa immediately set the pace as Bolton resignedly dropped on the defensive with Gary Madine their solitary striker. Their was a glimmer of hope for Bolton when Sammy Ameobi gained possession and produced a raking drive which Sam Johnstone quickly smothered, before an untidy spell and several stoppages did little for a flowing game. The hosts struggled to break down Bolton's rearguard in which David Wheater did well to shut out the threat of teenager Keinan Davis, resolute defensive play working for the visitors as Villa failed miserably to test goalkeeper Mark Howard with a single effort in a low-key opening half hour. The result was a much better display than expected from the Whites. Jem Karacan and skipper Darren Pratley, in particular working hard in midfield to nullify Villa's somewhat limited attacking options. In the 37th minute Kodjia had an amazing miss. A through-ball from Ahmed Elmohamady found Kodjia completely unmarked but the Villa striker, with only Howard to beat, casually shot wide across a gaping goal. In Villa's next attack, however, Kodjia was brought down by Mark Reevers on the by-line and referee Jeremy Simpson immediately awarded a penalty. Kodjia took the spot kick and converted for his first goal of the season as manager Steve Bruce had his back to the action. Despite the goal Villa struggled to take full control. Davis was given a harrowing time by both Wheater and Reevers, who both received yellow cards for tackles on the youngster. John Terry had Villa's best chance of a second goal but the defender failed to make a clean contact with a Robert Snodgrass free-kick. In an effort to freshen up Villa's attacking ideas Scott Hogan and Joshua Onomah took over from Davis and Kodjia - but the home side could not increase their lead.